All new fish must be assumed to be harboring disease, regardless of their history. Freshly captured wild fish, fish from pet shops, as well as locally tank-raised fish can potentially transmit infections to a stable aquarium population (aside from causing mortality in the new fish themselves). To help control these problems, all new fish should undergo a quarantine procedure prior to their introduction into an aquarium housing other fish. These quarantine protocols often represent a compromise between their degree of effectiveness, the level of effort required, and the safety of the animals themselves. 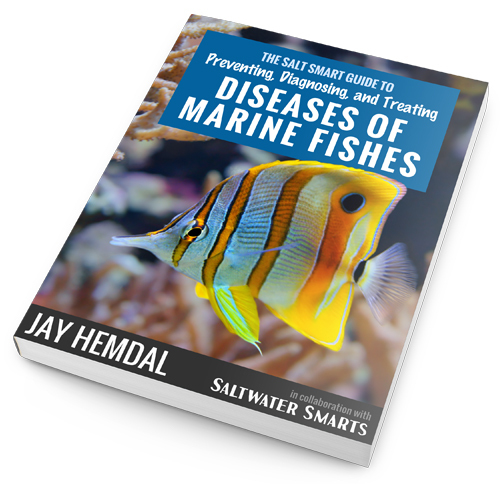 With a little effort and some guidance on how to direct that effort, you can increase the survivability of the fish in your marine aquarium by a huge factor. This, in turn, means you’ll buy fewer replacement fish, saving you money and making the hobby itself more environmentally sustainable. 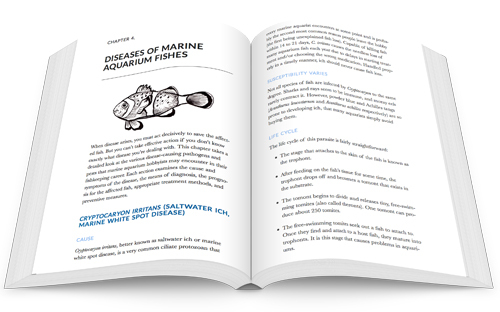 The information contained in this book is a compilation of my 45-plus years of experience working in public aquariums and the pet industry and keeping home aquariums. I truly want to see every marine aquarist achieve success, but the information provided here is only a start; you must then take the initiative to apply it—and even look for ways to improve upon it. 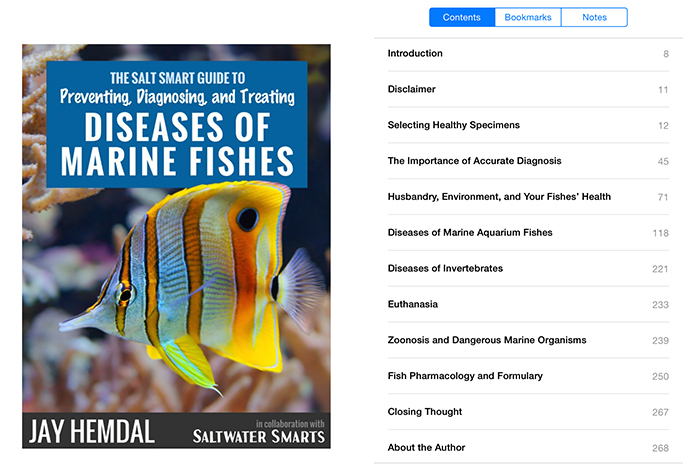 The Salt Smart Guide to Diseases of Marine Fishes can be purchased at the Salt Water Smarts website or directly through Gumroad. and I strongly encourage all hobbyists to do so.